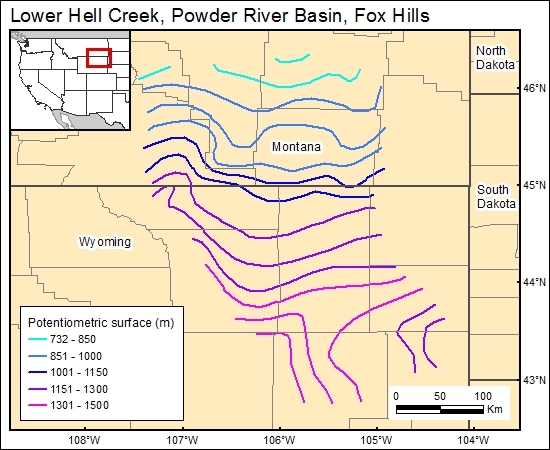 Flow directions inferred from potentiometric contour maps of the Fox Hills Sandstone in the northeast part of the Powder River Basin were documented by Henderson (1985). These inferred flow paths are north and northwestward. However, these maps represent only a limited part of the basin.